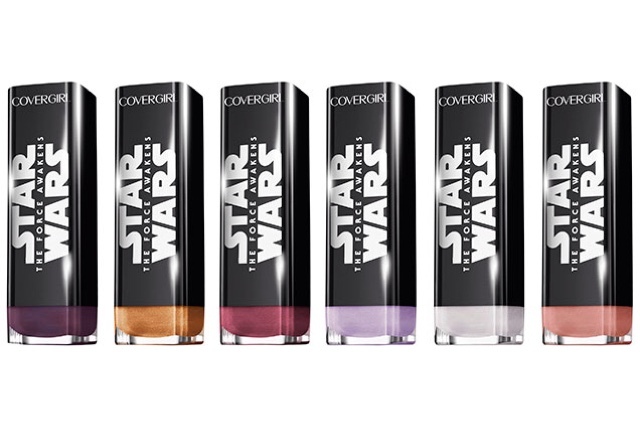 COVERGIRL just announced a super exciting beauty collaboration with the upcoming highly anticipated film, “Star Wars: The Force Awakens”. 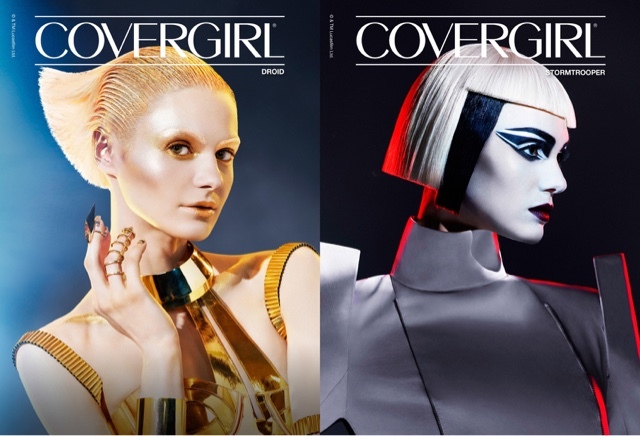 COVERGIR's Global Creative Director and Makeup Artist, Pat McGrath, has designed a series of six beauty looks inspired by the film, its iconic characters and key themes. "The looks were designed to enable the hundreds of millions of female Star Wars fans to celebrate their love of the movie, transform their look, and express multiple sides of their personalities." 6 Creative and futuristic looks, 3 inspired from the Light Side and 3 inspired from the Dark Side. The Droid (The Light Side) and Stormtropper (The Dark Side) were revealed exclusively today. Droid: featuring a luminous look that reflects the light side in “Star Wars: The Force Awakens”. 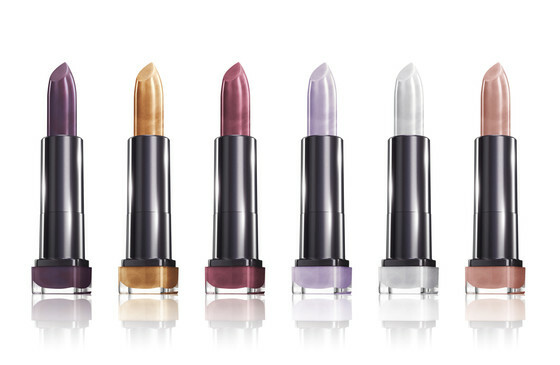 A swatch of golden eye shadow across lids and cheekbones sets the tone, with glistening lips punctuating the lustrous palette. Stormtrooper: featuring a strong and graphic look to represent the power from the Dark Side. The eyes dominate with a black winged liner and white contrasts. Lips measure up in a deep, mysterious red. 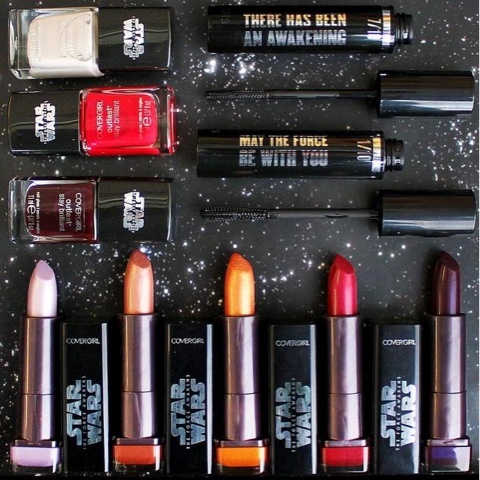 COVERGIRL products used to create these iconic Star Wars looks will be available beginning in October available in mass-market, drug and food retailers nationwide.